It was busy day for #physiotalk on Monday 3rd February, with 2 tweet chats with @The_HCPC on registration, renewals and continuing professional development (CPD) timed to coincide with the start of registration renewals for physiotherapists. Out thanks to the @The_HCPC for giving us such a useful opportunity to chat with them on Twitter. If you found it hard to keep up, or missed the chat, here is some post-chat information for both chats to read at your leisure. 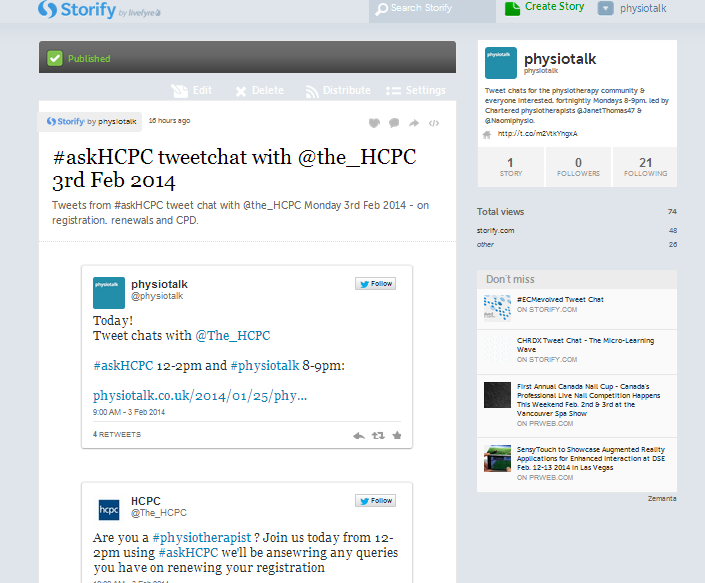 The first chat took place at lunchtime, hosted by @The_HCPC, and was a brilliant opportunity to ask HCPC staff ‘live’ questions about registration, renewals and CPD – most of the tweets from the chat are in the physiotalk Storify which you can read by clicking here. The #physiotalk analytics give you some numbers and activity. The transcript contains all the tweets from the chat and are a great way to read and reflect on areas of discussion. The timing are in Pacific time (PST), which is 8 hours behind GMT. There are some top tips from last night summarised in a #physiotalk Storify story you can read by clicking here. There was quite a lot of interest in the CPD postcards produced by @theCSP. These are handy sized cards to note down CPD activity and reflection (see photo below, along with my paper reflection form!). The postcards were produced by the Championing CPD team at the Chartered Society of Physiotherapy, copies can be ordered by emailing ChampioningCPD@csp.org.uk. 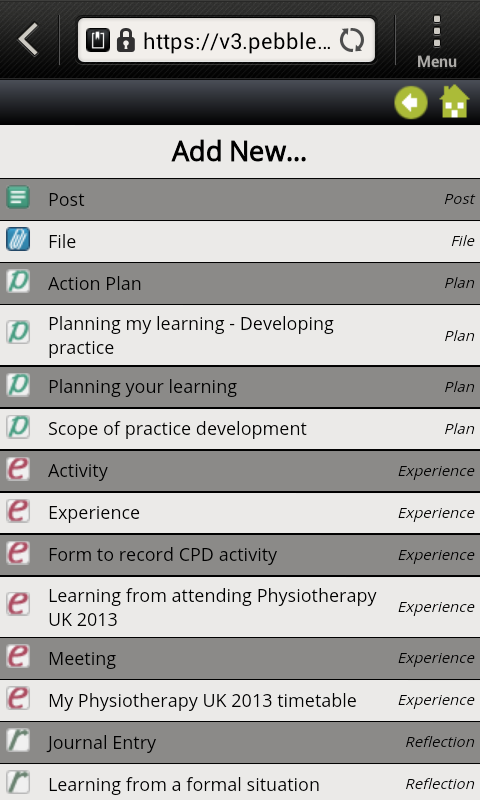 There was also lots of interest in the mention of CPD Apps by @PhysioNZ and @LCphysio. We’ll keep in touch with Physiotherapy New Zealand about their App and keep you posted. 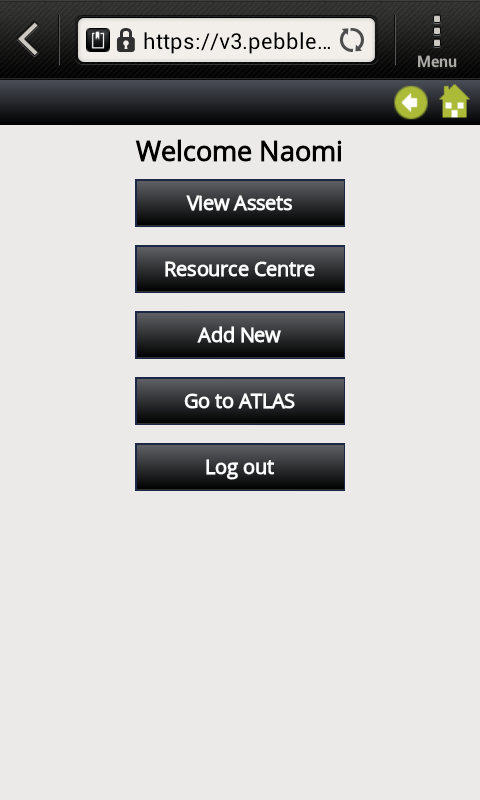 If you’re not a member of the CSP there is some information on Pebblepad here, including how to purchase an individual account. Our next #physiotalk will be on Monday 17th February, on quality improvement – pre-chat info coming soon! You can click on each photo above to view a person’s profile and follow them on Twitter.